A very quick blog! Just thought I should share the soloing skills of Randy Rhodes. 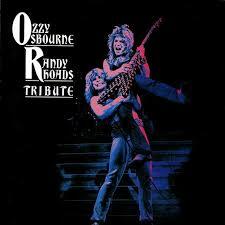 Randy was Ozzy’s guitarist post Black Sabbath and although he was a pretty small guy, he had some monstrous riffs! Flamboyant, melodic in your face guitar solos, cool riffs, great looking guitars and plenty of hairspray! What more do you want? Randy died in a crazy plane crash in 1982 aged just 25 thanks to a very dodgy tour bus driver, who was also an ex-commercial pilot, and obviously bad judge of spatial distances! However, thankfully Randy’s legacy continues. My personal favourite Randy Rhodes moment has to be his soloing in Mr. Crowley! If you want to hear some seriously good, live Randy Rhodes playing I strongly recommend this album. All live tracks but with the addition of ‘Dee’. A classical guitar piece Randy wrote for his mother. Here you get to hear Randy in the studio which includes a few false starts of ‘Dee’ and you go, “Randy Rhodes made a mistake!!??”. Great album! Video | This entry was posted in Blog and tagged Guitar lesson, guitar lessons hazel grove, guitar lessons stockport, Guitar Teacher Hazel Grove, guitar teacher stockport, Kevin Burke, Kevin Burke Guitar, Randy Rhodes, www.kevinburkeguitar.com. Bookmark the permalink.